Posted by Equestrian Australia on 22/01/2018. "My love of horses has always been my constant. Horses have always been there, through my highs and lows since I was 4 years old. In the Summer of 2014, I was diagnosed with PTSD and I realised more than ever that horses are not only my constant, but my everything. 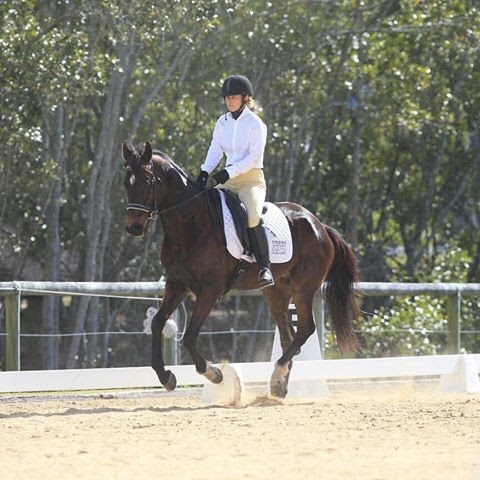 At this stage of my life I had three horses; Billy (a retired Brown 15.3hh OTTB Gelding who I had owned since 1994), Freddy, aka Mr Flashdance, a 17hh Chestnut OTTB Gelding and Moo, aka Mr Potato Head, a 16.1hh Brown OTTB Gelding. Do you see a theme here? OTTB? I love the OTTB, I always have. I love that they are agile and trainable and they have a way of being used in so many different disciplines in our wonderful sport. I learned in the time of my illness that they are also compassionate, kind and forgiving. I always rode horses throughout my life but never had the emotional connection that I have now. They worked through my illness with me and gave me hope every time I saw them. They helped me achieve my goals of obtaining my Introductory Coaching Certificate and G-Level Dressage Judge Certification. They showed me the path of kindness and I became a better rider from listening to my horses. I now ride at Preliminary / Novice level with the hope of making it all the way on the back of one of these fabulous breeds. My Level One Riding Certificate is next on my list of studies and my love of the OTTB and horses grows each day. I'm now on the other side of my illness but I will never forget their support and what I learned in those dark days. Now it is just rainbows, sunshine and a girl with the #LoveoftheHorse." 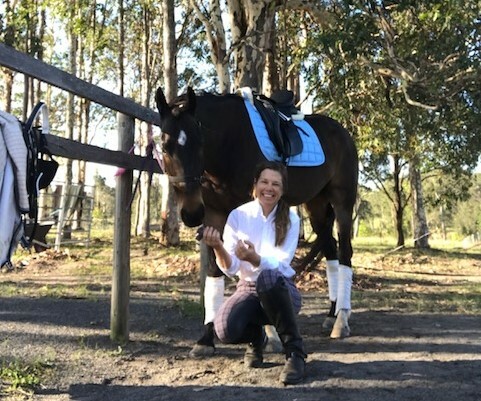 Equestrian Australia (EA) wants to boost the awareness of common issues that arise in the sporting community where there is currently a lack of information and education provided around mental health. Read more about our initiatives HERE.